Please READ before the bottom notes about your safety. 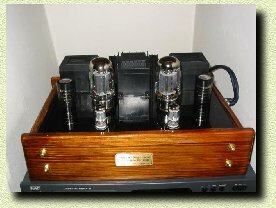 Rear view ot the amplifier. 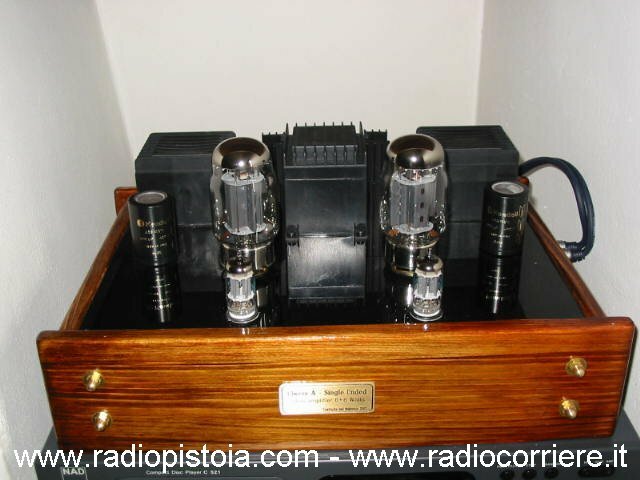 You can see the RCA audio input jacks, the output sockets and the main power cord. Inside the plug there is a 5A fuse. 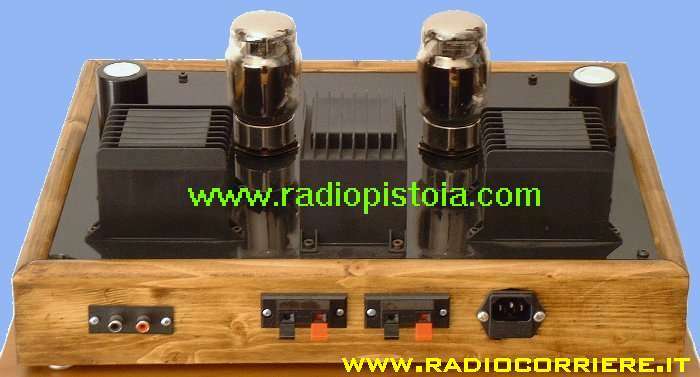 If you want to see the schematic of the amplifier and its power supply click on the left icon.. 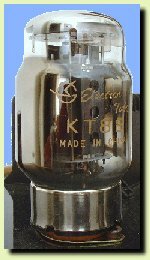 Ceramic socket for the power tube KT88 Due to the great power dissipation I suggest to keep space from this tubes, to prevent any overheating. Detailed view ot the AT power supply unit. 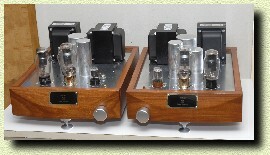 The filter capacitors of the KENDEIL are the best, to avoid ripple or noise during playback. 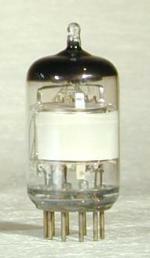 One of most critical components inside a vacuum tubes amplifier is the output transformer. 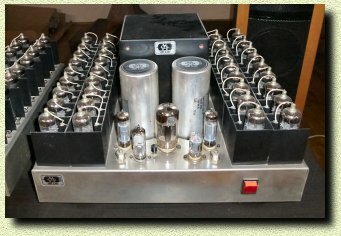 If this component isn't good all the amplifier performances go down. 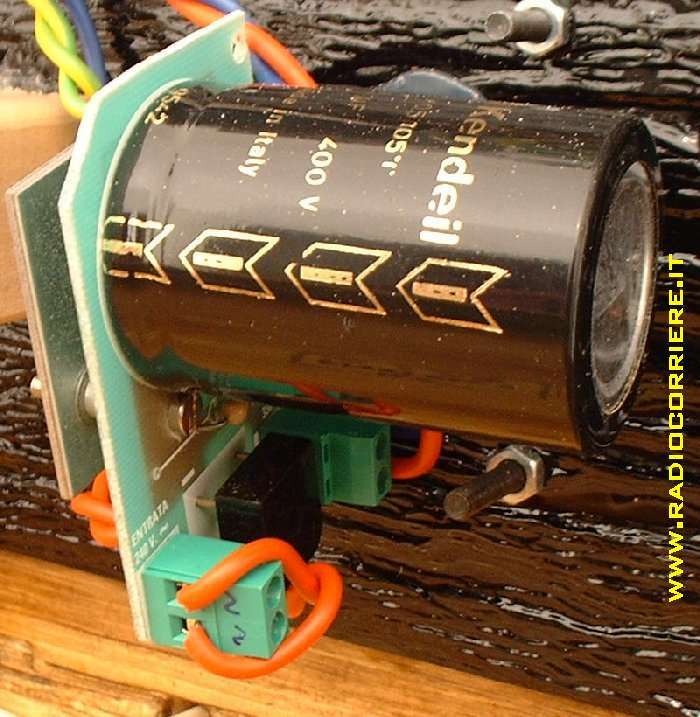 The transformer I bought is a big and heavy box, with a typical constant impedance from 20 to 20.000 Hz. 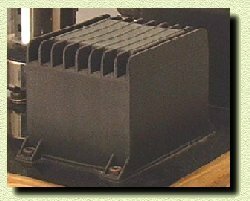 This kind of transformers are designed just to work with the KT88 in the single-ended configuration. 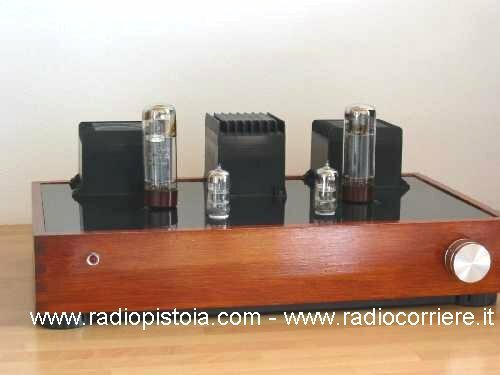 If you are thinking to build a copy of this amplifier remember that the AC voltage to the tubes heater (6.3V) MUST be made with a pair of big twisted wires. 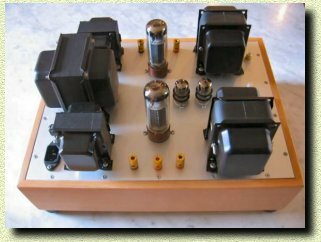 If not your amplifier will be a good 50Hz generator !!! 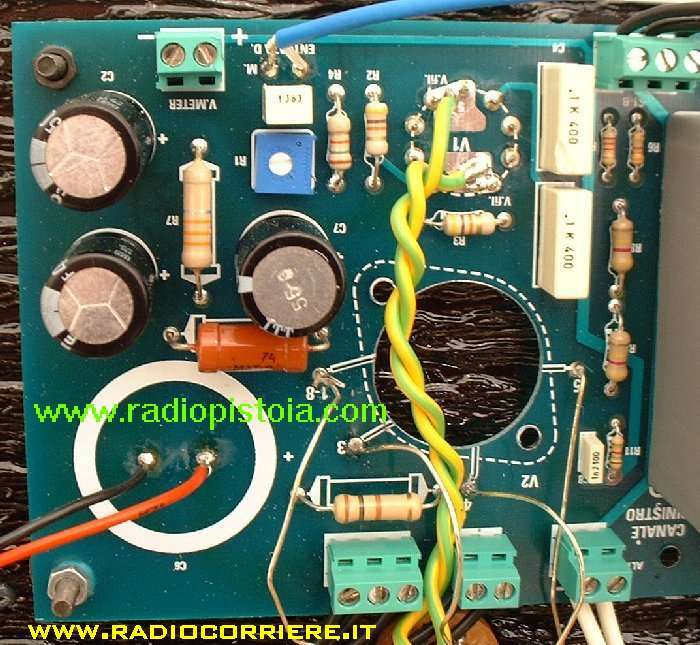 (60Hz if in U.S.A.) Look in the picture below the yellow wires...Pay attention to put the output transfomers rotated of 90 degrees from the power supply transformer. 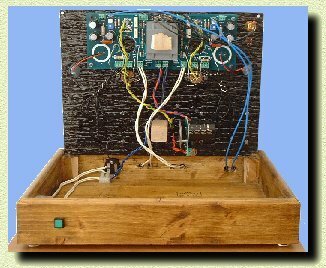 PCB main board internal viewing. 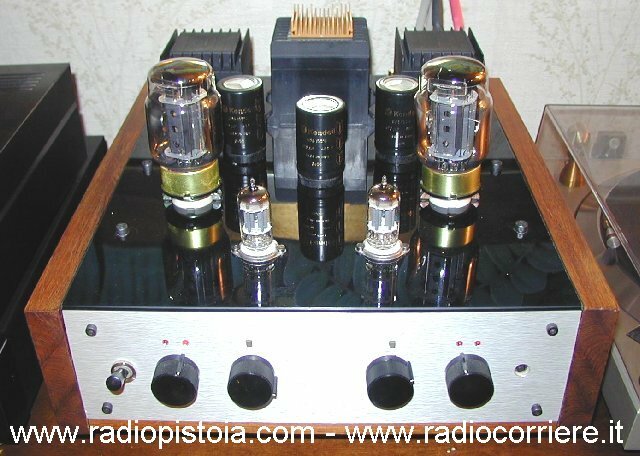 You can see the power tube sockets moved from its original location, this for a better power dissipation, while the power capacitors always on the top cover but in this case only for a look reason. Pay attention to build a good cables routing, soldering in order to prevent any noise. 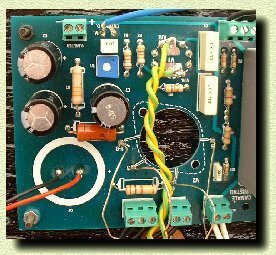 Detailed view of the power supply switch. Note the orange capacitors and the resistor. They are used to drive the lamp inside the power switch. 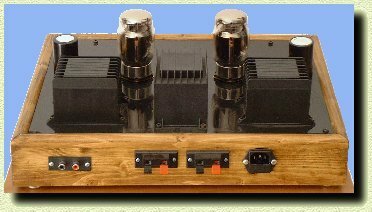 I preferred this strange solution to others dangerous AC cables routed into the amplifier. 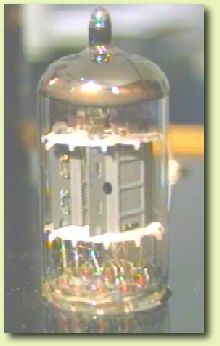 Global view of the amplifier from inside. You can see the blue wires of the main BF input. 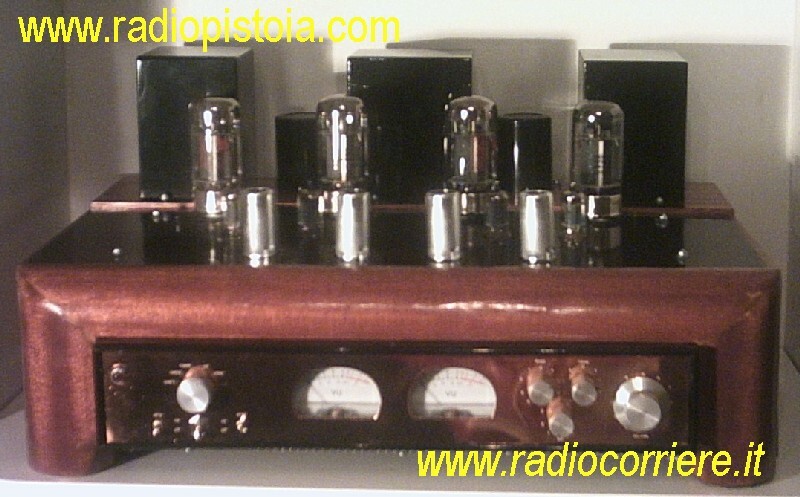 These amplifiers are built by you ! 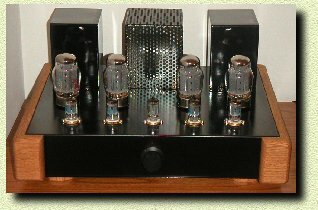 Monster amplifier using 18 x PL509 in OTL configuration. 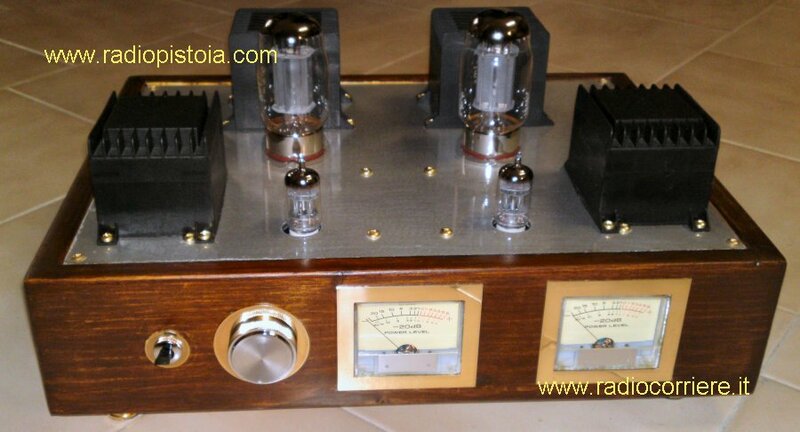 Great amplifier built by Tiziano, note the nice metal cabinet, enterly home made. 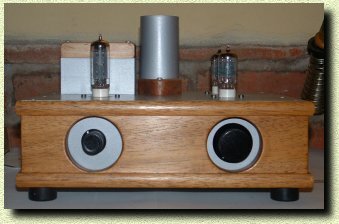 Integrated amplifier by Piero, in this case the circuitry has been placed inside the same cabinet (homemade) of the turntable. 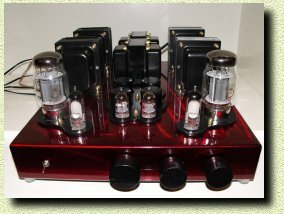 Big dual mono 300B equipped, made by Richard, from United States. 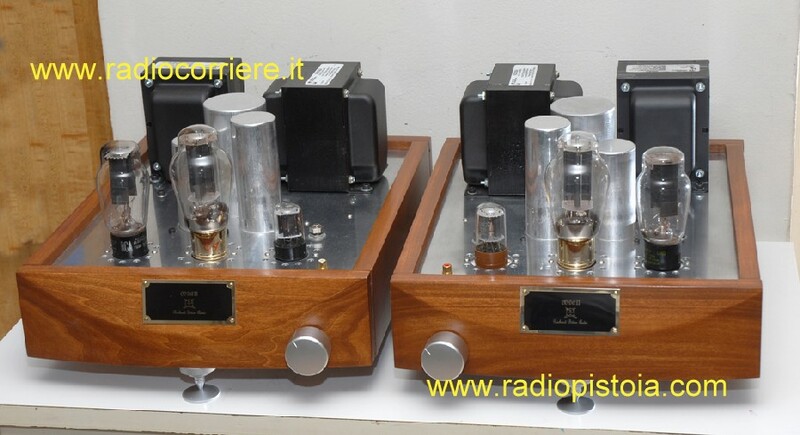 Wonderful project, tubes rectified too, with a very nice and professional-made cabinet(s).  Compliments! Great prototype, by Raffaele. This Push pull of EL34 is very interesting because is installed in .... a car !! 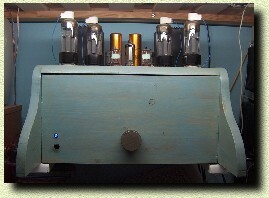 The ampli is powered by a survoltor, and sounds great! 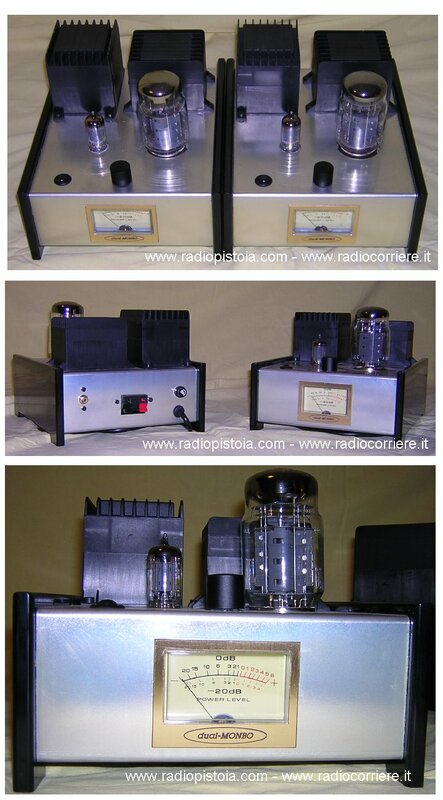 Here is another great ampli built by Enrico, from Milan. 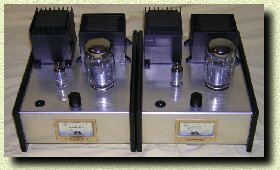 It is a DUAL MONO of 2A3 tubes, each ampli is completly and phisically separated, this in order to improve all the characteristics. 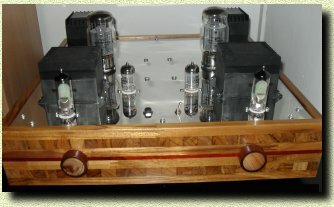 Nice amplifier, built by Andrew, in this project the power tubes are a pair of great Sovtek 6550. 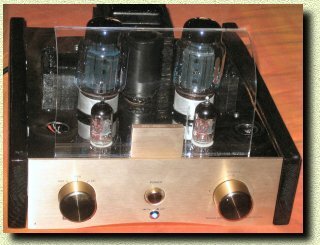 The reaction network is swicthable with the choose to enable or disable it, this to improve the audio characteristic of the amplifier. 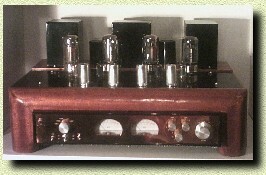 Great amplifier self-made by Teudolo. Uses a push pull of E130L, a big power penthodes. 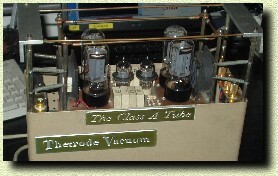 The power supply has been engineered with a EL41 and a OA4 a gas tube rectifier. Nice the idea to use a pair of EAM86 to display the output level signal, as a VU Meter. All the wood cabinet has been built by the author. 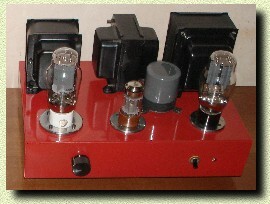 This amplifier is made by Giancarlo e Mauro, in this case the unit is in "dual mono" configuration. 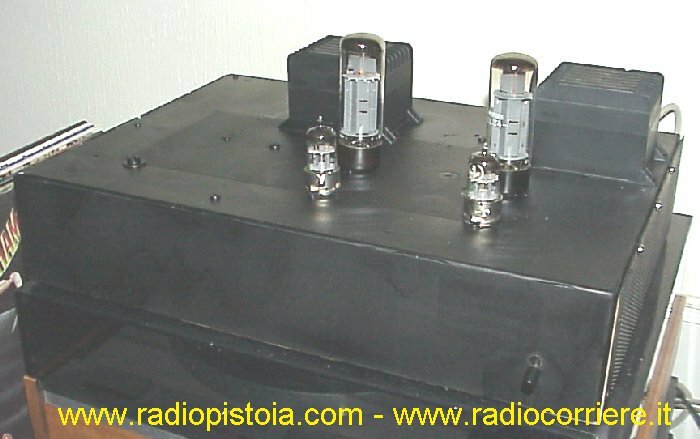 With this solution the power supply and all the stages L/R are completly separated, this improve the signal/noise factor and the channel separation too. The cabinet is totally in alluminium painted with a trasparent paint. 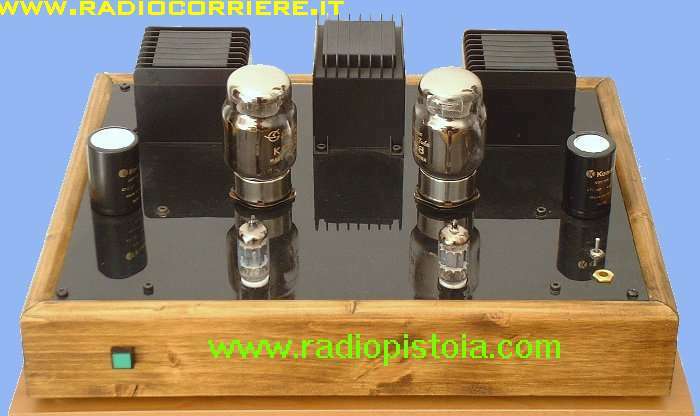 Nice amplifier made by Alessandro (Genova). 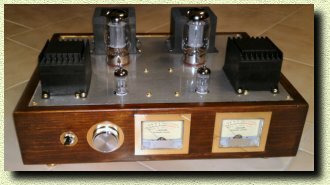 In this case the author used a pair of EL34, the cabinet is handmade wood and the transformers covers has been painted to obtain a nice mirror effect on the components plate. An achievement made by Claude-Alain from Suisse. 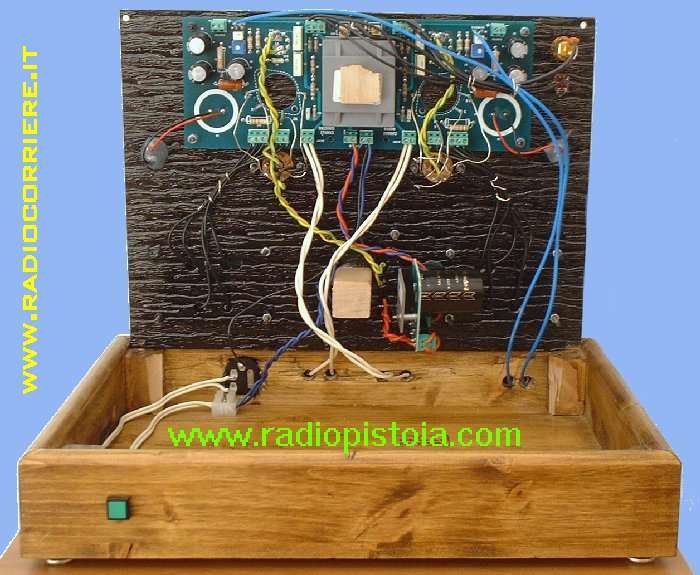 In this case the amplifier has been built using only spare parts. 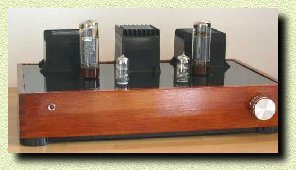 Curious but effective the idea to use a switching power supply for the tubes heathers. 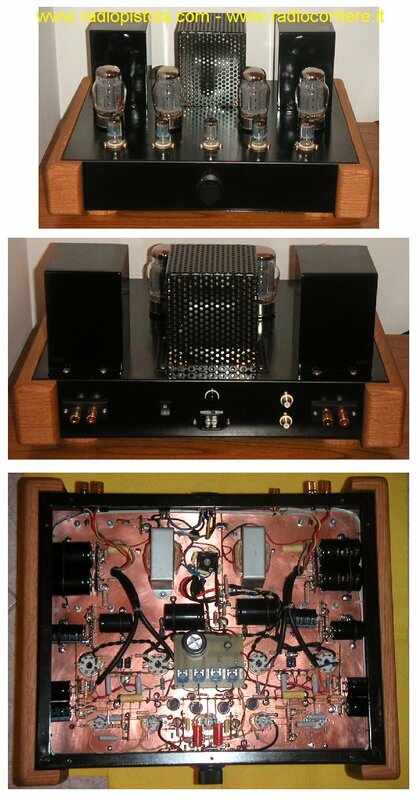 Great amplifier built by Roberto. 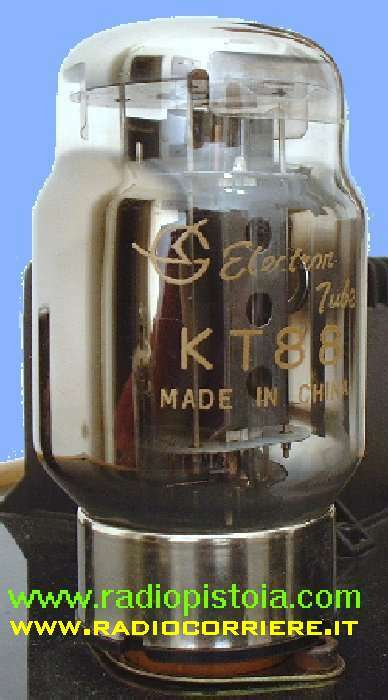 In this case the project is based upon a push pull of KT88. 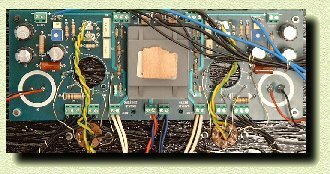 In the larger picture you can see a detailed internal view of this amplifier. All cable routing are point-to-point without any pc board. A great realization, really!. 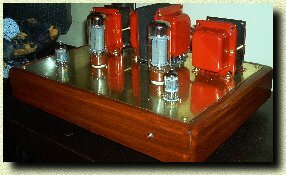 The amplifier you can see here on the right is another ampli like the mine but built by Silvano, another tubes amplifiers fan. 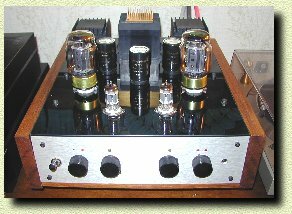 Note the professional look of this self made amplifier. 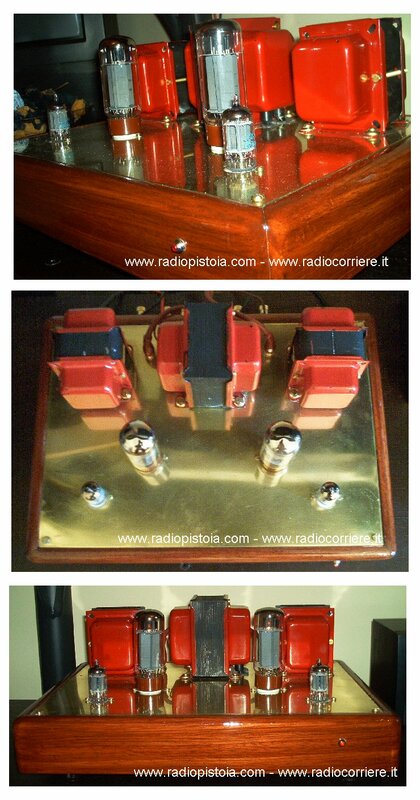 This ampli was made by Enrico from Milan. You can see the very nice home-made wood cabinet and the front panel. 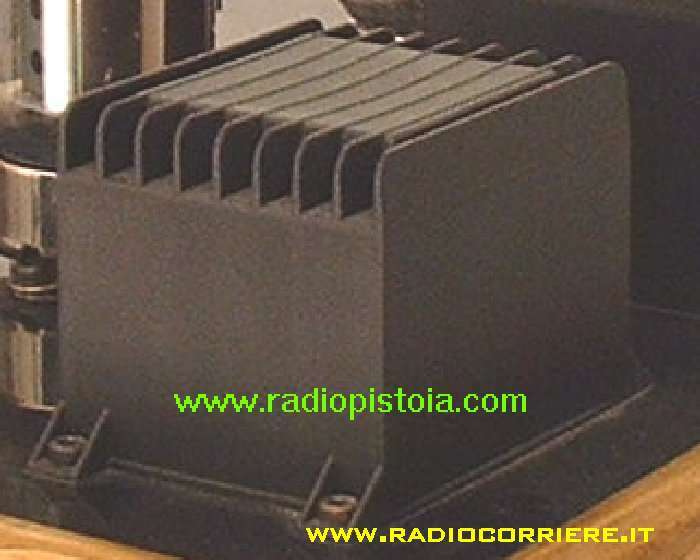 On the back of the picture you can see the power transformer heat-sink. This one is made by Antonio from Milan. 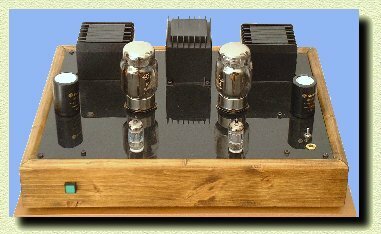 It's another great ampli where the author preferred to leave the original EL34 tubes almost the KT88, this with the same nice look. 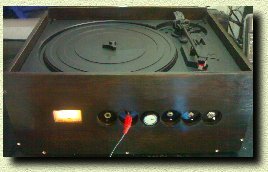 If you want to see the rest of the stereo equipments, just click on the right icon..
Take each appropriate care you need to prevent the risk of electric shock. 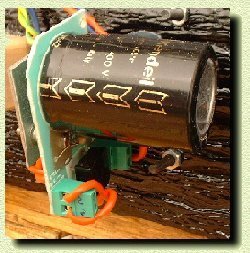 Remember that the filter capacitors keeps its tension after the power has been turned off for 5 or 10 minutes. 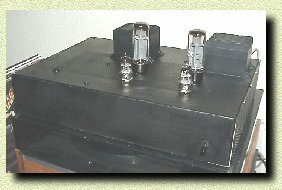 Each amplifier you made with this project cannot be sold, because without any CE certifications.